CELEBRATE WITH US AT PASSPORT TO DRY CREEK VALLEY’S 30TH ANNIVERSARY! – – Our Friday-night, Vintage Soiree. The Pre-Passport, 30th Anniversary celebration. Featuring the region’s top-rated wines and Michelin-starred cuisine. The event will be held at the new Ranch at Lake Sonoma with sweeping views of the lake and breathtaking sunset views. The San Francisco Chronicle (www.sfchronicle.com) is the largest newspaper in Northern California and the second largest on the West Coast. With name-brand voices and a keen editorial eye, the Chronicle is an authority that still surprises. When you purchase your Passport ticket you’ll first select whether you want a 2-Day Passport or a Sunday Only ticket. Next you’ll select a “Check-In” winery. This is where you’ll receive your wine glass, Passport booklet, wristband for the entire weekend. 2-Day Passports only need to check-in once on Saturday. After that, you’re free to explore any of the 40+ participating Passport wineries in Dry Creek Valley. We strongly recommend planning out your routes ahead using our Itinerary Planner to maximize the fun over your weekend! Each winery has their own unique Passport style, truly something for everyone. If you have a group larger than 6, we recommend contacting Debbie (707-433-3031) prior to February 1st. This year we are offering a variety of Friday activities if you are in the area. During the day we are hosting a series of Prelude Lunches and in the evening, the exclusive Vintage Soiree. If you’re interested in getting out in the vineyards, be sure to book a vineyard tour for Saturday or Sunday morning. We offer Classic Vineyard Tours over Passport weekend – all beautiful and educational, and yes, there will be wine! For the Designated Driver in your group, we offer single day tickets ($50 per day) so they can enjoy the fun and the food of Passport in a responsible way. Click here to check out more of the fun with our Passport Photo Gallery! Tickets go on sale to the public every year on February 1st at 10am PST! If you have a group larger than 6, we recommend contacting Debbie (707-433-3031) prior to this date. Subscribe to our Mailing List & Never Miss a Passport Update! Passport to Dry Creek Valley was introduced in 1990, by the Winegrowers of Dry Creek Valley, as a time every year when the winegrowing community could come together to celebrate the generations of farmers, vintners and families that are the roots of the Dry Creek Valley wine region. 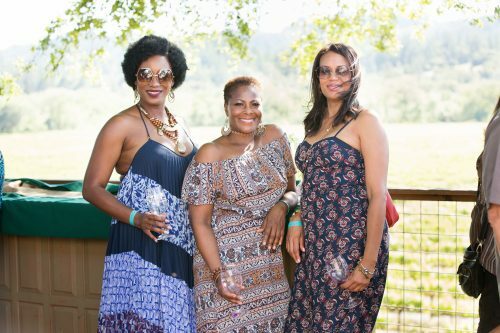 Over the 28 years since, the event has become a beloved tradition among wine lovers who enjoy a world-class tasting experience with a festive twist, all within the idyllic Dry Creek Valley. Over one weekend, Passport guests are welcomed into 40+ wineries throughout Dry Creek Valley, each offering a unique pairing of premium wine, gourmet food and entertainment. Take a vineyard tour for a grape-to-glass look at Dry Creek Valley wine. Sample exclusive vintages, rarely available to taste. Meet winemakers and grapegrowers – the generations of people behind the wine and magical ‘Dry Creek Valley spirit’. Savor exquisite food and wine pairings from acclaimed chefs. Delight in discovering each winery’s unique Passport “theme,” a tradition of the event. The possibilities are as varied as the wineries themselves and promise a fun, unforgettable weekend. Enjoy! 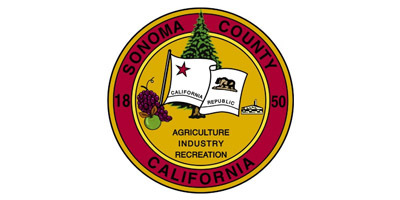 Winegrowers to Dry Creek Valley thanks its sponsors for Passport to Dry Creek Valley!